WARNING: THIS PREVIEW MAY CONTAIN SPOILERS FOR PREVIOUS EPISODES. 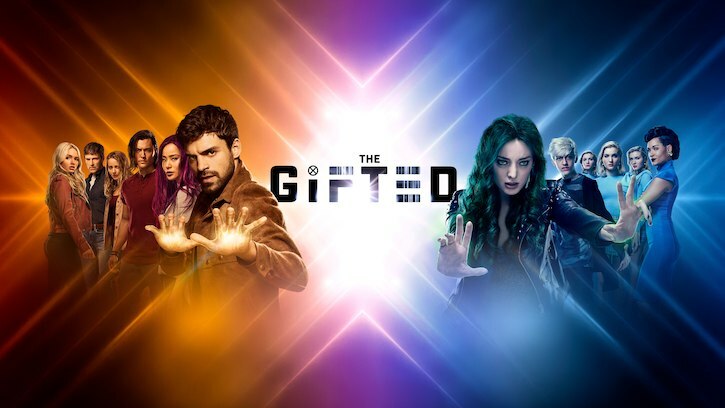 Last week on The Gifted: Reeva took control of the Inner Circle. Caitlin tracked down a mutant criminal hacker in order to find her son and wound up getting grazed by a bullet. The Strucker family grappled with their grief over Andy's departure. The Mutant Underground rescued a young mutant named Christina from a Sentinel raid but was unable to get to her family in time, they're still on the look out for her sister, Jasmine. Polaris gave birth to her baby girl, Dawn. This week! John reaches out to a mutant lawyer from his past to assist in the Mutant Underground's quest to track down the Inner Circle. I enjoyed his scenes this week, they were character-oriented and we got to learn more about what's shaped him into becoming the man he is today. We will also get an update on Christina and the search for her sister, Jasmine. Checking in on the Strucker's, Caitlin is recovering from her gunshot wound. Reed is keeping a massive secret from both his family and the Underground. One has to wonder how long Reed can keep things hidden before they grow out of his control. I wasn't all that interested in Reed's character in the first season but I'm curious to see where his storyline is headed this year, especially after a certain scene in this episode has me coming up with all kinds of theories. I can't wait to see what everyone else thinks about it. Lauren is still having shared dreams with Andy. Speaking of, Andy's dreams are bothering him more than the premiere let on. It turns out his stability in the premiere may have been mostly a facade as seeing Lauren in his head every night has clearly left him shaken. He's not performing as well as he should be in training and Reeva is growing concerned that he may be more of a liability to the Circle than an asset. This episode also marks the return of Jace Turner. We'll get a look at where his journey has taken him and the course he plans to take this season. "unMoored" is a little more subdued than the premiere episode. Many of our characters are struggling emotionally right now and it reflects in the tone and writing. Another quick tease: This is a nice episode for Blink & Thunderbird fans. ALL-NEW EPISODE OF "THE GIFTED" AIRS TUESDAY, OCTOBER 2, ON FOX @ 8/7c!